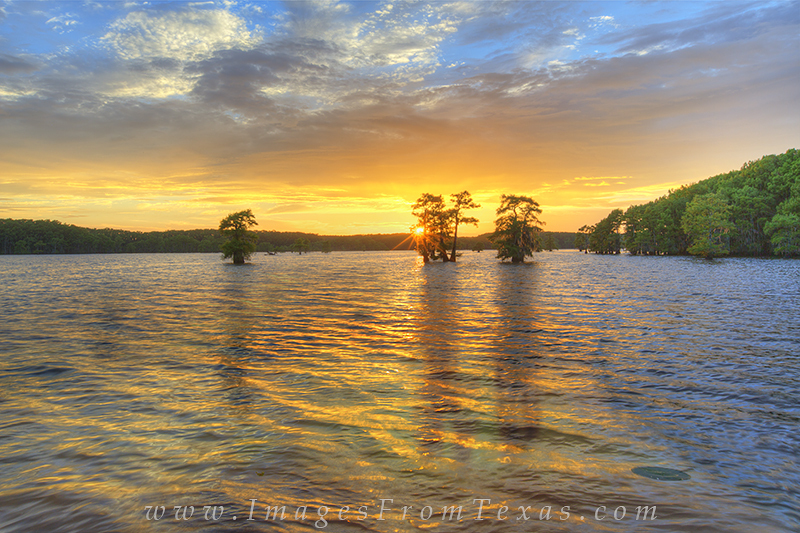 After rains fell all day on Caddo Lake, the skies finally cleared, allowing for an amazing sunset. The colors of the water seems to glow with fire as the last light of evening fell below the horizon. Photo © copyright by Rob Greebon.